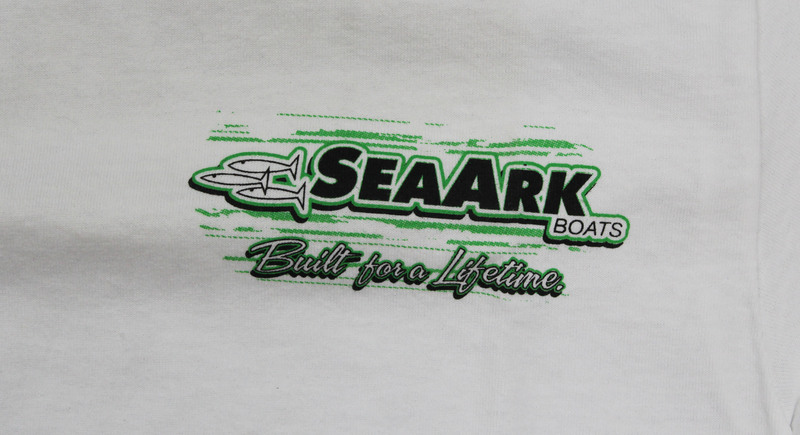 Our Green Logo Tshirt features our standard SeaArk Boats three fish logo with a vibrant green logo, making sure that it does not go unnoticed. 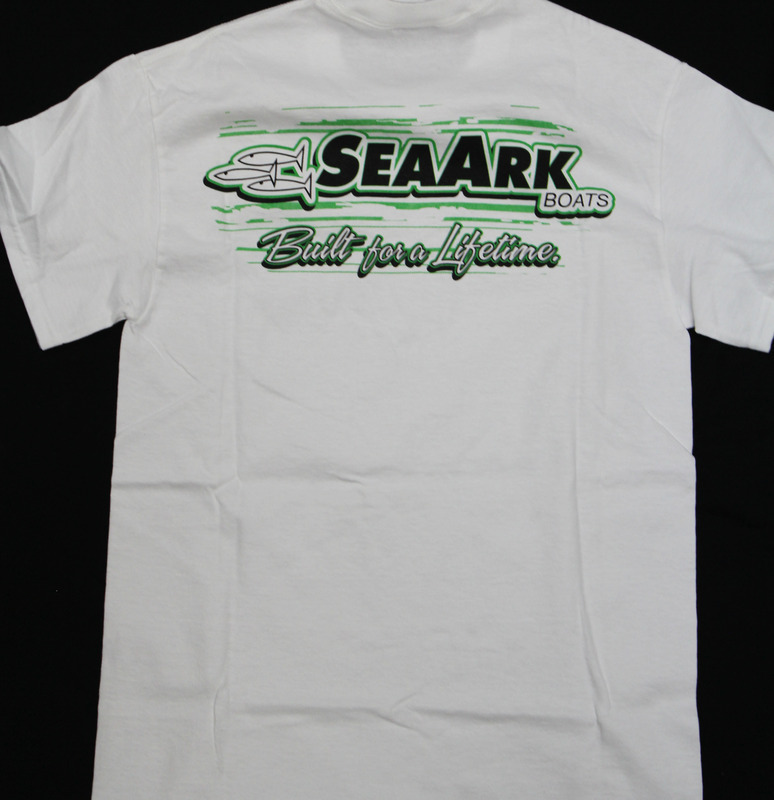 Printed in lime green and black on a white shirt. 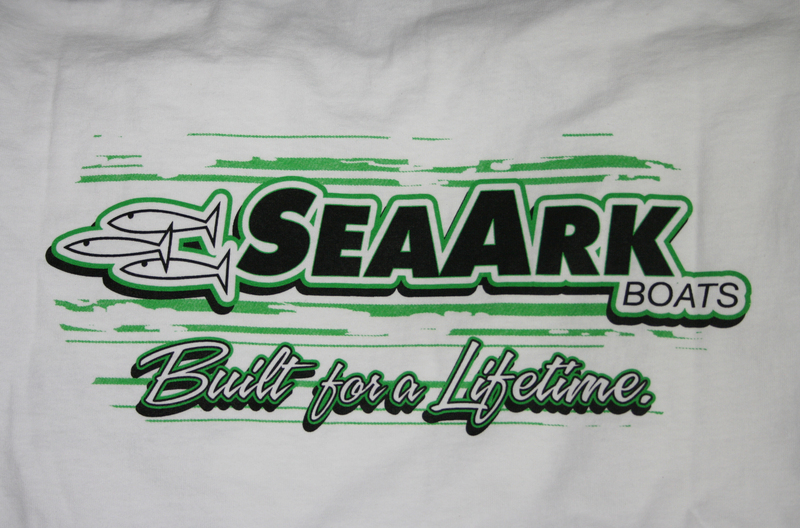 It features the same logo on the front left chest pocket.